Fruits are not only sources of food but natural providence for good health. You see elderberries, figs and grapefruits in fruit stores but you look at them as fruits never considering them as rich providers for good health. Perhaps you may not even know what elderberry is or the health benefits of figs or the magical quality of grapefruits! Essentially, knowing them is another way to collect good health sources. European elder is a large shrub or small tree that was a native of Europe, Africa and parts of Asia. The tree grows as tall as 30 feet with white flowers and its fruits are green berries turning red then black when ripe. Elderberries are fruits having medical properties but must be cooked before using since raw berries have chemical similar to cyanide. Elderberry or elder has been used for centuries in treating wound (external use) and respiratory illness (internal use). In Europe, elder is used to treat cold and flu for its fruits, as well as, its flowers reduce the swelling in mucous membranes and alleviate nasal congestion. It has anti-inflammatory, antiviral and anticancer properties. The most trusted preparation is sambacus nigra or black elder which is the safest. Avoid sambucus ebulus or dwarf elder as it has toxic properties. It reduces the symptoms of colds and flu as it reduces congestion and causes users to sweat profusely. Studies showed that Sambucol could shorten the duration of flu to as much as 3 days as it is loaded with Vitamin C. Even lozenges containing elderberry extract (ViraBLOC) lessens flu symptoms when taken within 24 hours after initial symptoms. Experiments proved that elderberry could kill the H1N1 virus or swine flu in test tubes but it has yet to be tested on people. One of its properties, sinupret treats sinusitis when taken to complement the effectiveness of antibiotics (doxycycline or Vibramycin) and a congestant. This was very useful for those suffering from this type of disorder. Although elders have been a folk remedy for centuries in North America, Europe, Western Asia and North Africa; the medicinal benefits of elderberries are still being studied and investigated until today. The term brings to your mind the fig leaves Adam and Eve wore when they were driven out of Paradise but its fruits have so many other uses. The common fig is a species from Asia and the Mediterranean region and has been cultivated since the ancient times for its fruits. They are extremely important food for wildlife and served as objects of worship in some culture. Figs do not only serve as food but traditional medicine since they contain laxative substance, flavonoids, sugars, vitamins, acids and enzymes. Figs may cause skin allergens to some people while its sap is a serious eye irritant. Propagating seeds are done by seeds, cutting and layering. Depending on the species, each fruit contains up to several hundreds to a thousand seeds. Figs are delightfully pleasing to taste so they are used as ingredients in several dessert-based dishes. Not only valuable for cooking but the health benefit given to people who consumed them. Lowers triglyceride levels – Fig leaves lower triglyceride levels and promotes cardiac health. 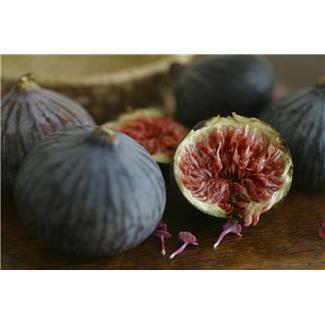 Dried figs are available all year round but there is nothing compared to the wonderful taste and texture of fresh figs. They are very sweet with a texture that goes with chewiness of their flesh, the smoothness of their skin and crunchiness of their seeds. 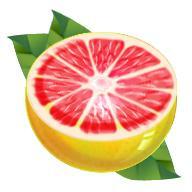 The grapefruit was first named as forbidden fruit but it is actually a sour fruit originally from the Barbados. It has become popular since the late 19th century for its fruits but previously grown only as an ornamental plant. Today, the United States is a major grower of grapefruits as major products. Grapefruit tastes tart and tangy with an underlying sweetness that proves a good rival of the ever popular orange juices. Although available throughout the year, grapefruits are in their best from winter till early spring. Grapefruit is an excellent source of many nutrients and phytochemicals that contribute to a healthy diet. The grapefruit seed extract (GFE) has strong antimicrobial properties against bacteria and fungi. The grapefruit diet is also called the Hollywood Diet which is a fad diet originating in the United States since the 1930’s. It is based on the claim that grapefruit has a fat-burning enzyme. The grapefruit diet is a low-carb diet. It suggests that grapefruit burns body fat when eaten with foods high in dietary fats. So it encourages the consumption of meat, eggs and other edibles which are rich in fat and protein. A typical breakfast recommended consists of bacon and eggs. The regimen restricts eating of carbs by eliminating sugar, sweet fruits & veggies, grains and cereal. Dieting lasts for 10 to 12 days allowing two days off. Grapefruit is your fruit to maintain wellness and to keep body trim and physically alluring.